In a state known for their buffets, it can be difficult to narrow them down to only ten best. We looked for affordability, quality, professionalism, and accessibility in making our selections and are confident the following 10 will keep you coming back for third, fourth, and fifth servings. Read on and eat on, my friend. The Bellagio is one of the nicest hotels in Las Vegas, so it’s no surprise that their buffet stands out in a city known for its incredible buffets. According to their website, “Our talented chefs bring together the freshest ingredients and the best dishes from around the world, including Italian, Japanese, Chinese and American cuisines plus a whole lot more.” Expect get the best of all worlds. Part of the M Resort in Henderson, Nevada, Studio B Buffet is considered a “premium buffet” with “delicious appetizers, entrees and patisserie desserts.” Don’t forget about the complimentary beer and wine. Yes, you read that right. Complimentary beer and wine. Toucan Charlie’s Buffet and Grille is “reimagined” and “unrivaled,” according to their website (and our independent estimation). 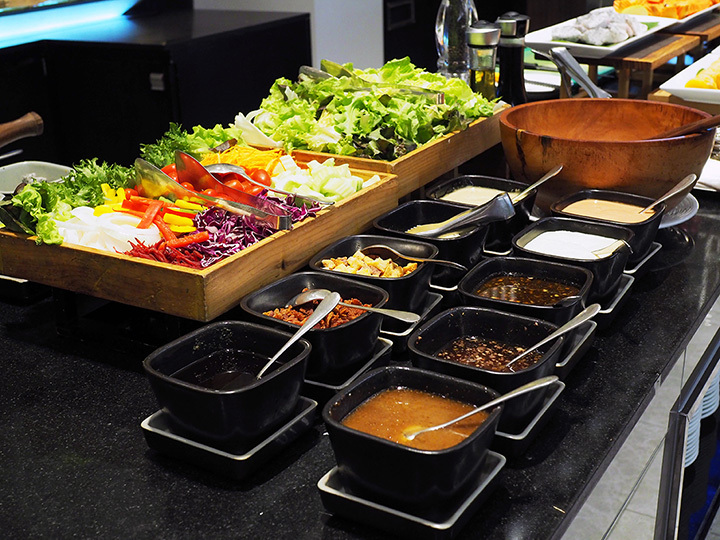 This isn’t your average buffet. You’ll find live action stations with carvers, made-to-order salads, pho, and more. Stop in Friday for the seafood buffet. The Roundhouse Buffet in Laughlin, Nevada offers endless eats for breakfast, brunch and dinner at one of the most affordable price points on the list. Their champagne brunch buffet includes Italian, Mexican, and American cuisine. Meat lovers, binge on the all-you-can-eat prime rib and crab leg option on Friday and Saturday. The Rum Jungle Buffet in Carson City, Nevada is the winner of the Nevada Appeal Readers’ Choice Award, and with over 140 delicious options to choose from, it’s easy to see why. “The five live-action chef stations, seafood delights, giant salad bar, decadent dessert island and champagne brunch” make this one a sure-fire winner. Raise your hand if you’re a seafood lover. There you are. We see you. Sushi Pier may very well be your newest happy place. With unlimited sushi, sashimi, and more, you may want to move in to your booth and stay there forever. We don’t endorse that particular course of action, but we’re happy to endorse the food. This is it. The granddaddy. The big poppa. The buffet to end all buffets. Caesars Palace is one of the most well-known Las Vegas casinos and its buffet, the Bacchanal, is the consistently voted Best Buffet in Las Vegas. A few of the incredible options: red velvet pancakes, truffle deviled eggs, made-to-order dessert crepes. Every bite brings you a little closer to heaven. For $32, Koi Sushi will give you the meal of your sushi-loving life. Get yourself a California roll. Try the Dropkick Roll. Flush it down with green tea ice cream. It’s all included and all delicious. Flavors of India brings authentic Indian food to Carson City, Nevada. Buffet lovers, stop in during lunch for an excellent buffet option from 11 a.m. to 2 p.m. Choose from a wide variety of chicken and vegetarian options. Hundreds of buffets seemingly line the Las Vegas streets and almost any of them could be added to this list, but for our money, we recommend trying out the buffet at the Rampart Casino. They have many traditional favorites in addition to specialty nights Wednesday through Saturday, such as Thursday New York Deli Night and Saturday’s Steak and Seafood Night. Come in Saturday and Sunday morning for brunch.